On the go? No time for breakfast? Don’t do that! 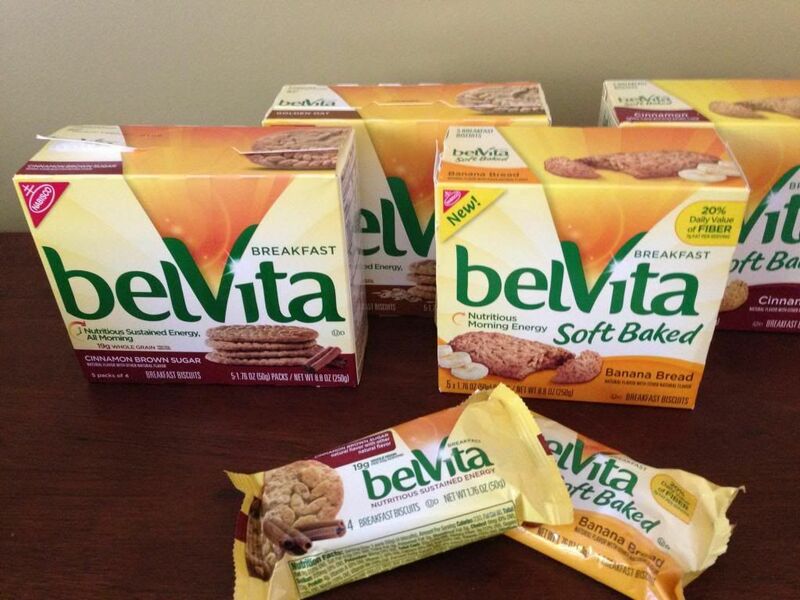 Grab a belVita Breakfast Biscuit! They come in crunchy (5 flavors – Golden Oat, Cinnamon Brown Sugar, Blueberry, Chocolate, and Apple Cinnamon) or soft baked (4 flavors – Banana Bread, Mixed Berry, Oats and Chocolate, and Cinnamon). We especially liked the Soft Baked Banana Bread – it tastes like a slice of homemade banana bread! We love that they are individually packaged, making it easy to throw in your backpack or purse as you are heading out the door. They have no high fructose corn syrup, artificial flavors, or sweeteners. They’re made with a whole grain blend of oats and rye and wheat flour, so you’ve got a good amount of fiber (3-5 grams) to give you sustained energy for the morning. These biscuits are so tasty that we had them as an afternoon snack and a pick-me-up on a long hike. Delicious!